In the afternoon, head out to An Bang beach for a swim and some relaxation. Cam Kim Island is beautiful and great for cycling. Hoi An's cycle friendly streets. One of the delights of a visit to Hoi An is that it’s possible to do most things on foot or by bicycle. The old town is closed to motorcycles for large parts of the day and there are lots of good cycling possibilities in the surrounding countryside. A handful of companies also offer tours. Here are our recommendations for independent exploration by bicycle and and bicycle tours. 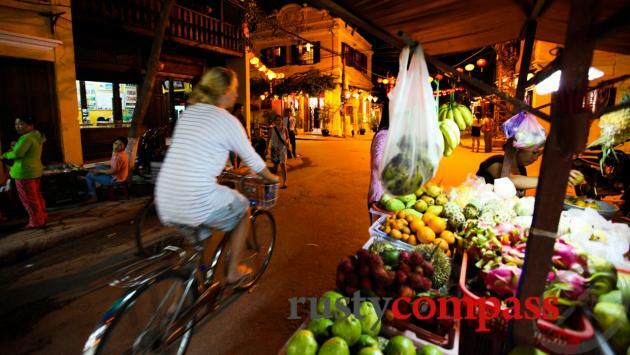 Hoi An is one of the few places in Vietnam that has taken some steps to be bicycle friendly. Cycling will be a highlight of your stay here. The old town is closed to motorised traffic for large parts of the day and night. And the countryside around the old town is picturesque and relatively safe for cycling. An Bang Beach, Tra Que Vegetable Garden and Cam Kim Island are popular, easy rides from town - though the roads are becoming increasingly busy so take care. If you're feeling more energetic, head across the new Cua Dai bridge to Hoi An south. There are big development plans for this area but for now you can find some lovely local trails. The ride to the Cham Towers is also a good one for energetic cyclists. Make sure you head down the narrow paths that run off the major roads. These are traffic free and will be a highlight of any cycling adventure. Hoi An’s old town is so compact you can easily explore it on foot. But the streets are also cycle-friendly - especially when closed to motorbikes each day. Cam Kim Island is a great spot for exploring by boat. A new bridge from the mainland has replaced the wonderful old ferry that used to operate. The bridge means that Cam Kim is getting busier, but the cycling is still lovely - especially in the early morning or late afternoon. The Cam Kim bridge connects the island with the western end of An Hoi from Nguyen Phuc Tan St. Once on the island, explore the the rural life, boat building and small local markets. 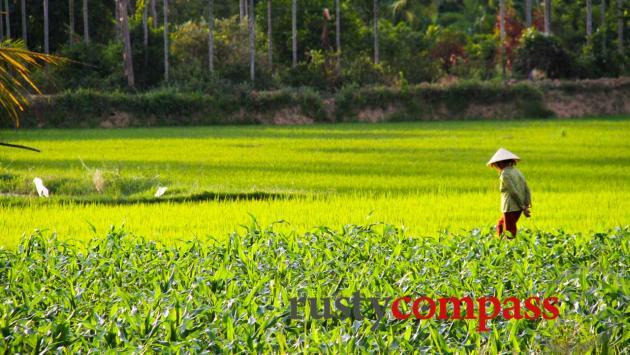 The lush rice fields between Hoi An town and the sea is great area to explore. Take a leisurely cycle the long way to An Bang or Cua Dai beach for beautiful rural scenes and local life. Before you hit An Bang beach, stop by Tra Que Vegetable Village for a look at a local organic vegetable garden. To take this ride, head along Cua Dai Rd. 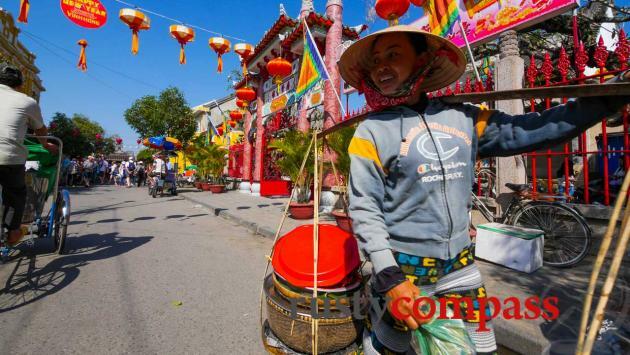 Turn left at Le Thanh Ton St and slowly make your way along the narrow paths to Hai Ba Trung St. The paths are not direct. You may get lost. You’ll find cool stuff while you’re doubling back. Maps work. Best to hit Hai Ba Trung St as close to Tra Que Village as you can. Hai Ba Trung St is busy. Spend as little time on it as you can. Look out for the two old Japanese tombs too! 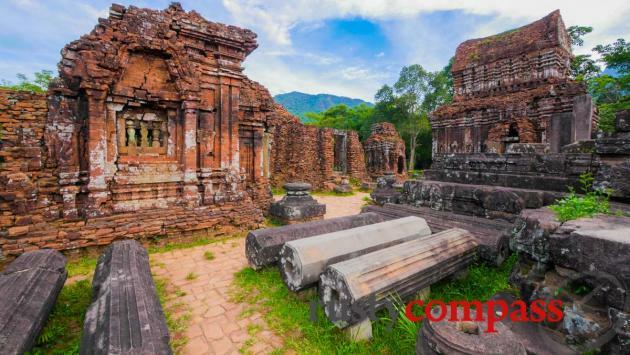 By the most direct route, My Son is 37kms from Hoi An - often on busy roads. If you head on to quieter paths, you could easily push that out to 50kms - or 100kms return. My Son may be best visited as part of a tour to ensure you take the most picturesque and least busy route. Head south across the Cua Dai bridge towards Tam Ky. There is a huge amount of development under way here. Push on past that and then take a right for exploration of villages or a left for beaches that don’t see many tourists. Head as far south as you like. Most hotels and guest houses provide free bicycles. These are fine for short local rides. They’re not much good for longer cycling. We couldn’t find any quality bicycles for casual hire around town. Only the bicycle tour companies seem to have bikes that are setup for long rides. It would be nice to see some higher quality bikes available as they are in Laos and Cambodia. Hoi An may be better for cycling than most parts of Vietnam, but keep your wits about you. Cyclists have come unstuck here too. If you’re planning on riding any distance, remember it can get very hot in the summer months. Stay hydrated. 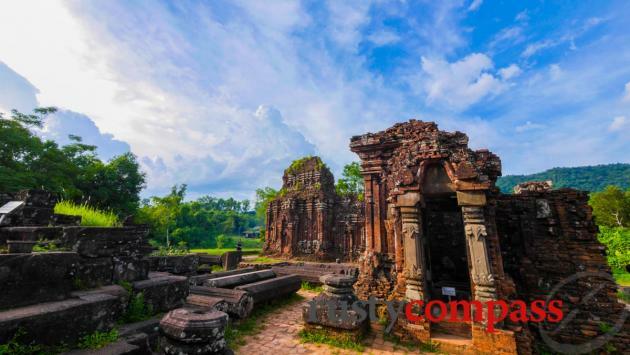 There are a number of companies offering popular cycling tours in and around Hoi An. We’ve checked out Heaven and Earth - but that’s all. These guys operate cycling tours throughout Asia. We’ve travelled with them in Cambodia but not Hoi An. They’re a slick operation with quality bikes and guides. And they’re more expensive. They’re especially worth checking out for longer tours where bicycle quality is an issue. Or if you’d prefer to be on a better standard of bike no matter how casual the cycle. A husband and wife team offering itineraries around the town and beyond. The local tours use basic bikes and only travel short distances (less than 10kms). These guys have high quality bikes for long rides to My Son and longer customised itineraries. Photo: Mark Bowyer Cycling Hoi An. Tour begins with a cruise along the Thu Bon River. The short tours provide travellers with insights and local knowledge courtesy of the guides - our guide was very good. Independent travellers can explore the same cycling paths. We took one of their countryside tours around Hoi An. It was inexpensive and well done. Bikes are basic but OK for a casual cycle. For more serious cyclists, they offer a higher standard of bike and focus on longer more intensive cycling routes. These are best booked in advance. We’ve not had much success walking into their offices.